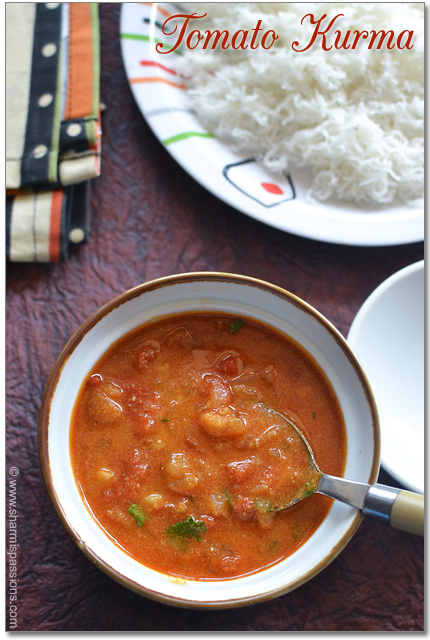 I saw this tomato kurma recipe in a tamil magazine which was Chef Damus Recipe …..It was given as a sidedish for appam and I was way too tempted to try it as I wanted to try tomato kurma since long. 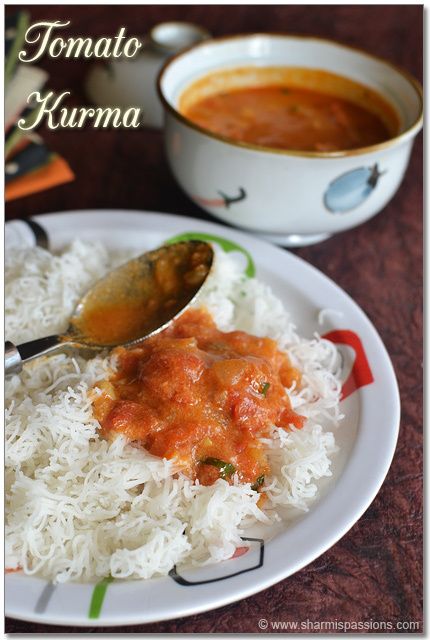 Amma makes thakkali kuzhambu but a kurma with tomatoes as a major ingredient is something new to me…..I loved it a lot inspite of the chunky tomato pieces, the flavour was soo good. 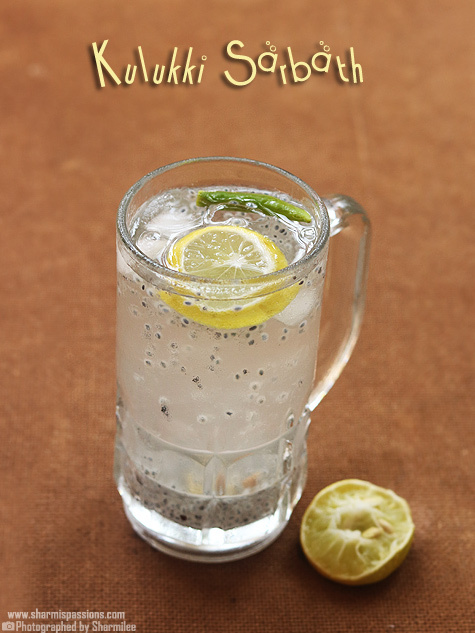 I am sure this is going to be often in my menu hereafter.I will sure post thakkali kuzhambu recipe soon. 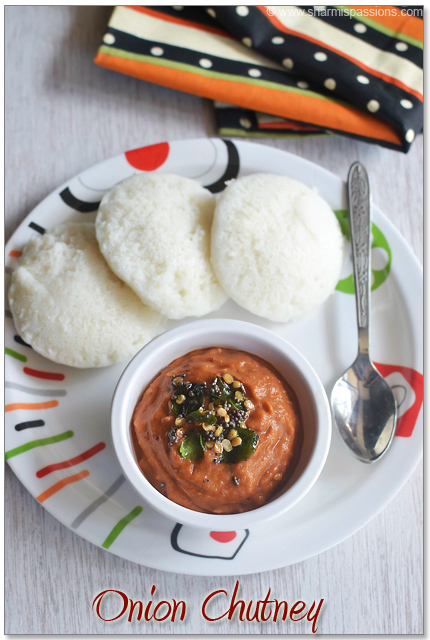 I served it with idiyappam for breakfast and had it with dosa for dinner, it makes a great combo with idli, dosa, chapathi, idiyappam and even appam.That plate of goodness with idiyappam and tomato kurma was wiped clean by me 🙂 Now lets get on to learn how to make tomato kurma. 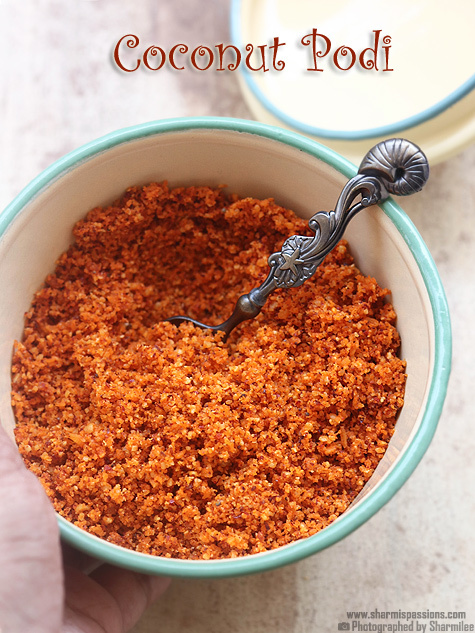 In a mixer add all the ingredients listed under ‘to grind’ along with little water and grind to a smooth paste.Set aside.Heat oil in a pan – add the ingredients listed under ‘to temper’ let it splutter. Then add garlic let it slightly brown, then add onion and fry till golden brown.Then add tomatoes and fry till mushy. 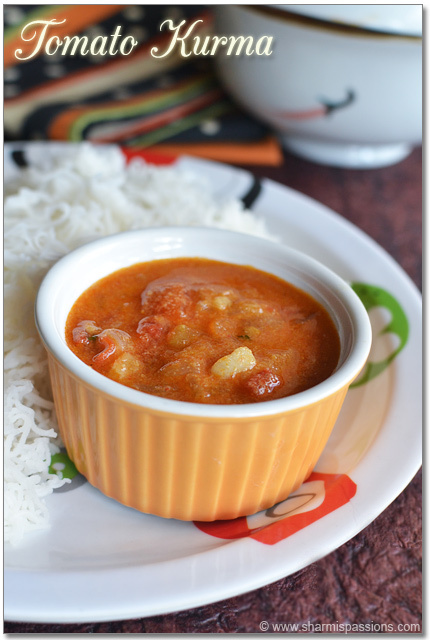 Keep cooking till raw smell of tomatoes leave.Then add red chilli and coriander powders with little water and let it boil for few mins. Then add the coconut paste and let it boil(add water if consistency is thick).While oil separates, garnish with coriander leaves and switch off. 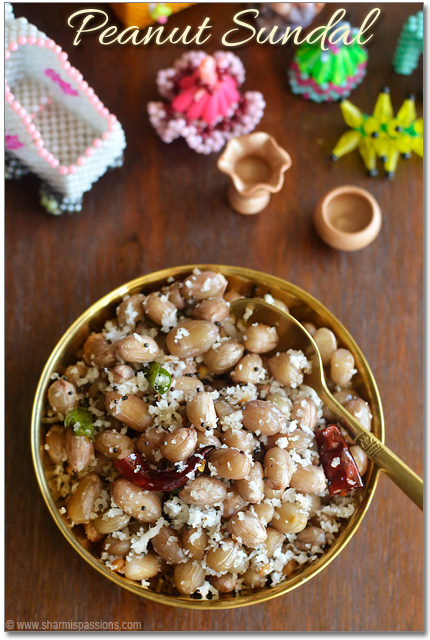 Serve with idiyappam / idli or dosa. Make sure you saute tomatoes till raw smell leaves. The spices should be subtle so don’t add more than the mentioned amount. 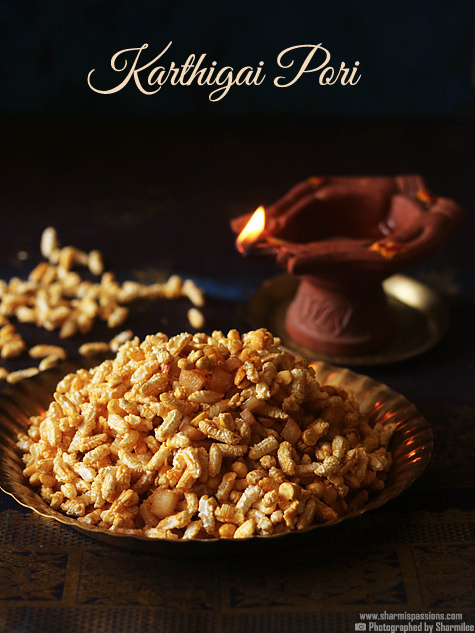 This is the kind of kurmas that I would love to have with idlis, dosa and just plain rice as you have presented. Wow! 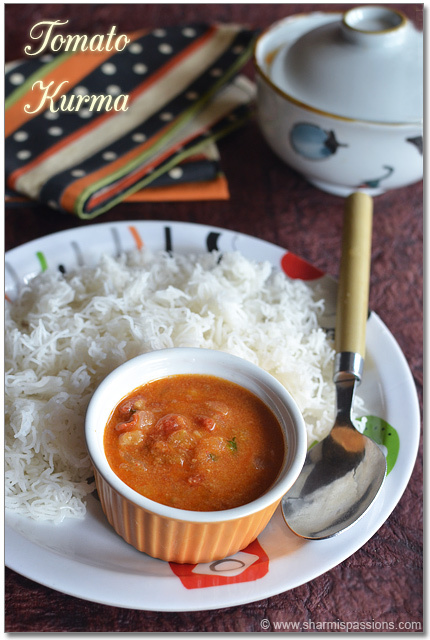 That Thakkali kurma looks yum and delicious! 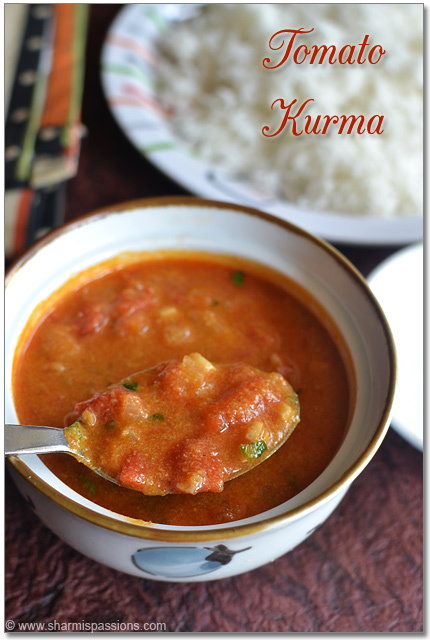 Kurma looks very tempting and perfect clicks as always. Can we peel the skin of tomatoes or grind the tomatoes and add? Very colourful.. like to hav wit idiyappam.. I missed it…but as you can see in the steps its very little 1/2-3/4 tsp will be ok to go…Hope this helps! 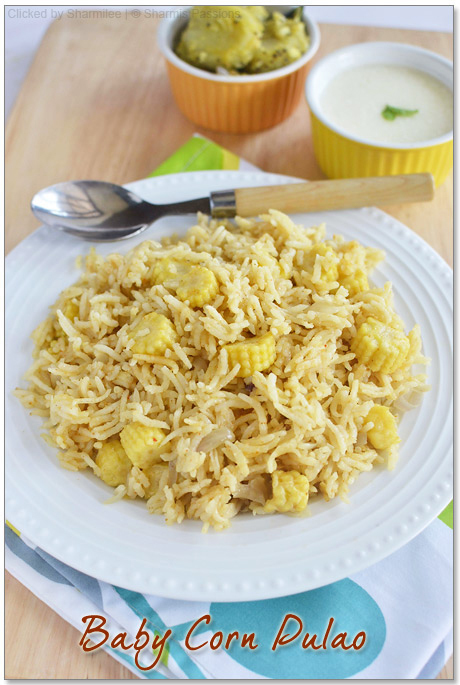 Thank u so much….am sure it will help…coz I guess thats where I went wrong…..I used an entire tablespoon?….the taste was too strong..kind of bitter or something…. Tried this today. It came out very well. Thank You!